Mahindra and Mahindra Ltd. has been known for its SUVs. The Mahindra XUV500, a feature packed vehicle is built on monocoque frame according to the international standards. It is probably one of the biggest launches in this year in the automobile industry. It is surely an overall delight. The design is contemporary and not that stylish but will hit the Indian market with a boom. The design is appealing and will be preferred by any buyer looking for a SUV car. It comes with plush interiors with comfortable seating. It sports tilt adjustable seating, 8 way adjustable driver’s seat, lumbar support adjust for driver’s seat, adjustable steering, leather upholstery in W8 variant, power foldable and electric adjustable ORVMs, fully automatic temperature control and dual zone HVAC offering comfort, luxury and convenience. The center console is equipped with 6 inch touchscreen with all the entertainment options and providing information. There is in built MayMyIndia GPS Navigation System and with this the touchscreen interface will assist you in calling people from your contact list. There are several menus and sub menus providing various options. The safety features are rear defogger, fog lamps, dual front airbags, side impact beams, disc brakes on all wheels, crumple zones, side and curtain airbags, hill hold and hill descent control in W8 version, park assist system comprising of parking sensors, ABS with EBD and six airbags. The price of this SUV is jaw dropping compared to the estimated price. The base version is priced at Rs. 10.8 lakh. 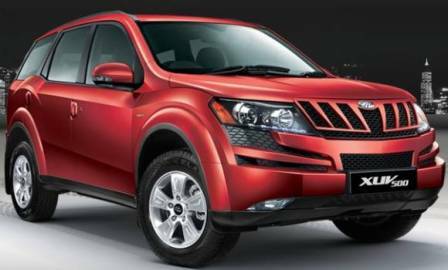 Mahindra XUV500 is available in following colors. 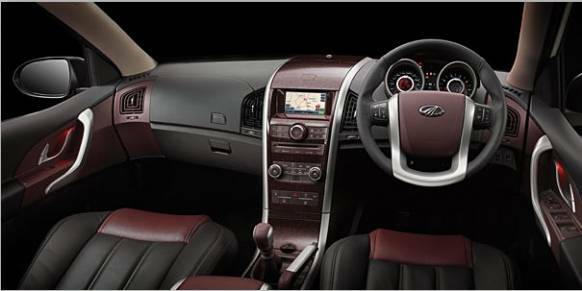 Mahindra XUV500 is worth every penny and is loaded with all the latest technology and equipment. The incredible price of this feature-packed vehicle will surely lure all the customers. Best Gifts to Buy this Christmas – Top Christmas Gift Ideas!